Second, just because you find an unsecured network does not give you the right to connect. If you don't own it, don't touch! There are many States and localities that have enacted laws making it illegal to have an unsecured network and/or to connect to an unsecured network. In Windows 8 and up, click the network icon and a list of available wireless networks should appear. Simply select the desired network. If you are connecting using WPS, the connection should complete shortly. If not using WPA, you will be prompted for the network password. There are various security schemes available, the most popular are WEP and WPA/WPA2. WPA(2) has variations within: TKIP and AES... Typically WPA is an eight (or more) character code. WEP common in older routers, requires either a 10 or 26 character code with numbers and letters a-f.
Not finding a WIFI network? Be sure there is actually a wireless router near by and it is turned on. Wireless is very local and you can connect only if you are within about 300 feet of the router and at that distance, the signal is weak and the throughput will be very slow. Much less than 300 if the router (or you) are behind walls and especially metal siding. Having DSL or high-speed does not automatically mean you have wireless. There needs to be a router nearby. Be sure your computer has wireless. Most laptops do but many desktop units do not. Be sure your computer's wireless is turned on. On a laptop, you can turn the wireless off (to save on battery consumption). And it is all too easy to accidentally turn it off. Some laptops have a physical switch on the front, side or top panel. Many HP's for example have a little (round) button above the keyboard. When orange the wireless is off, blue is on. Most Dell units use the Fn key plus the Function F2 key to toggle. Test your wireless router by using another computer or WIFI enabled cell-phone. Some routers do not broadcast their SSID (name) so they are not easily seen. 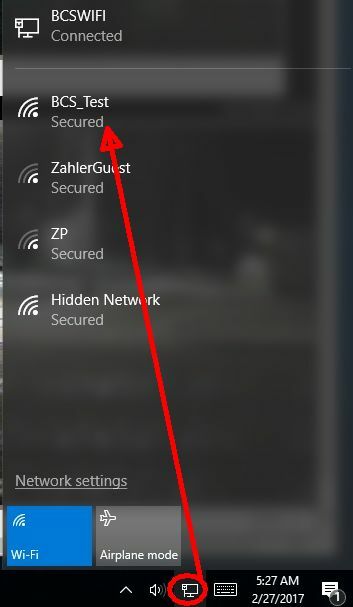 If this is the situation, you need to manually setup a new connection and you will need to know the exact SSID. If the computer does not see any wireless devices in the Device Manager, it item is likely defective but, maybe one more place to look and that's in the Bios. Most laptops have an enable/disable BIOS setting. Desktop WIFI devices are easy to replace. Typically a USB connected device, sometimes and internal card.